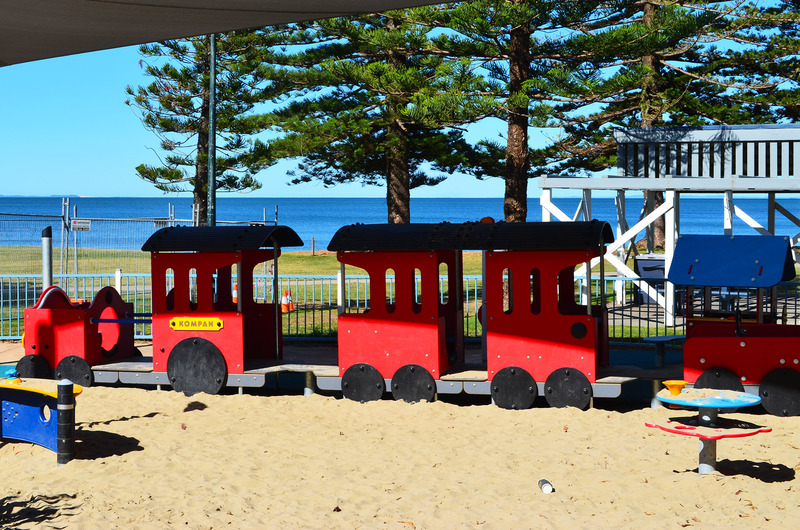 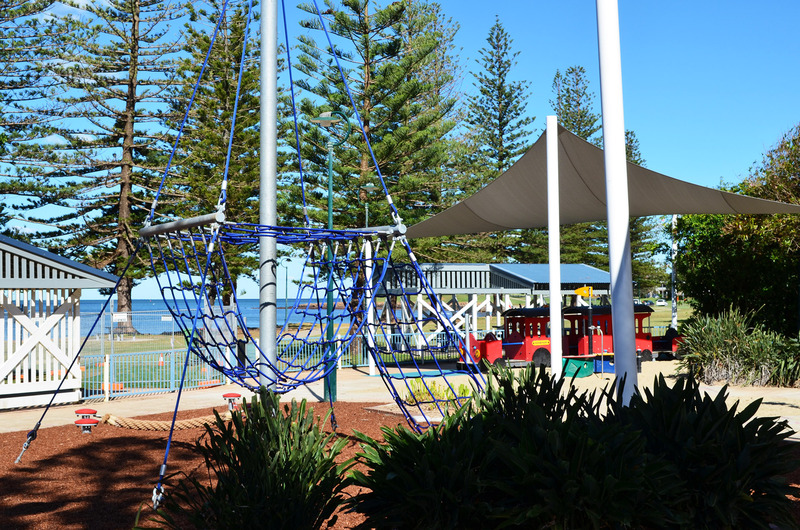 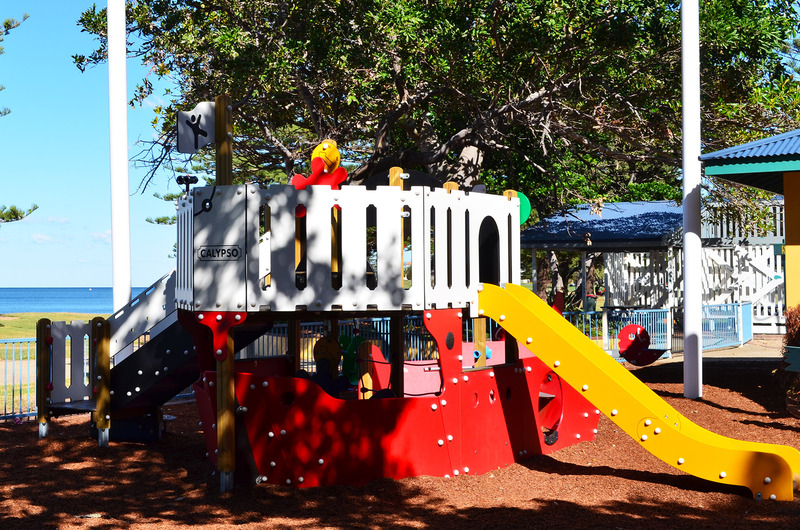 Set amidst a forest of Cottonwood trees, the new Scarborough Beach Park offers multiple play opportunities for locals and visitors to the popular Redcliffe Peninsular. 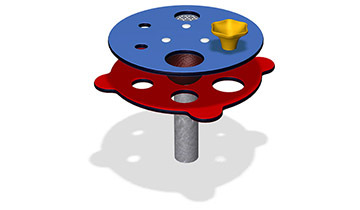 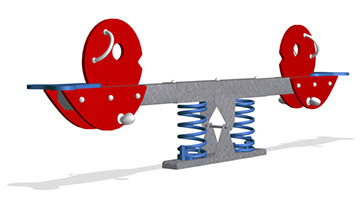 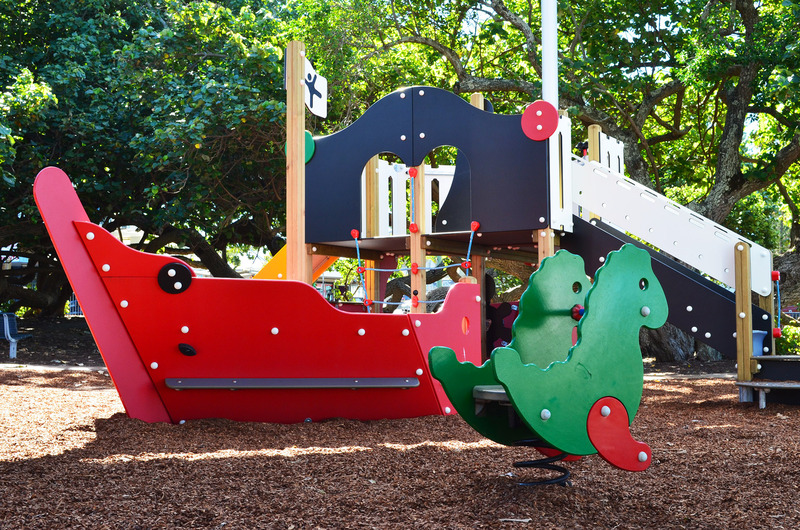 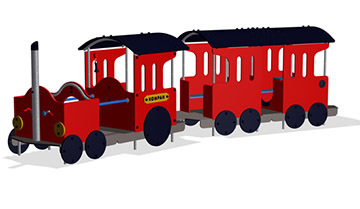 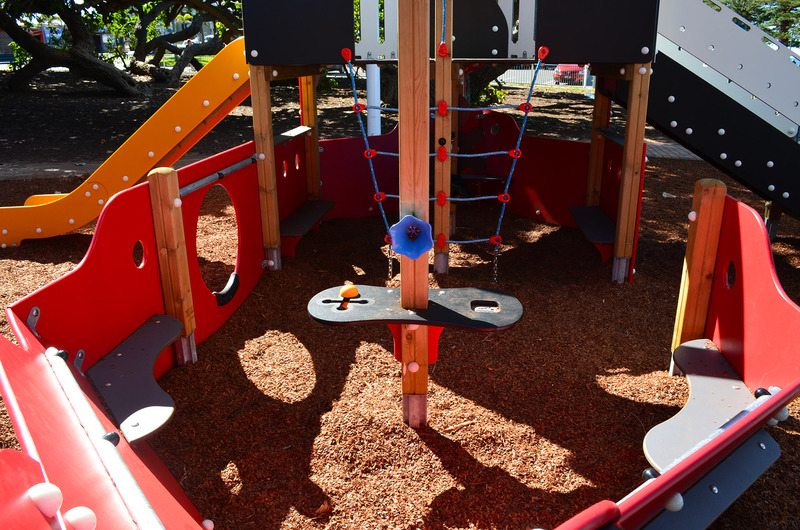 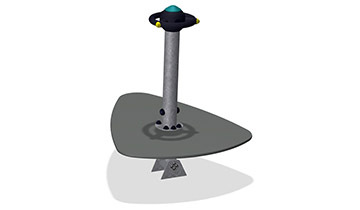 Featuring two unique play areas, ‘Pirate Park’ and ‘Railway Place’ showcase a number of key KOMPAN pieces, inspired by the unique themes. 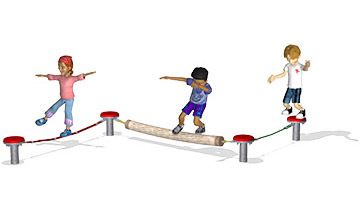 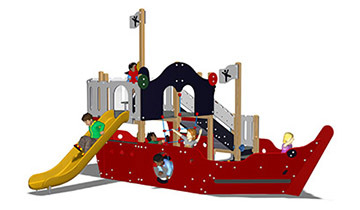 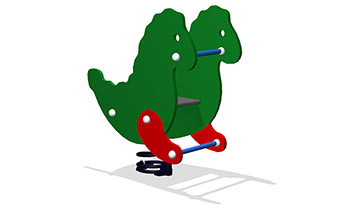 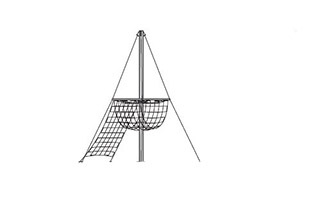 Part of the popular Moments range, the Pirate Ship provides multi-level play opportunities and sensory stimulation through climbing, sliding, pulling and twisting activities while the Steam Engine and Carriage heightens imagination and passive play among younger user audiences. 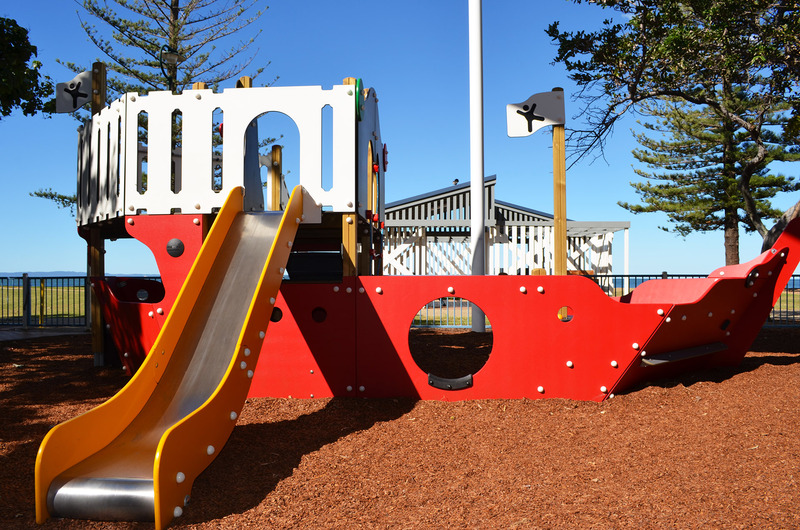 Providing unobstructed views of the picturesque Moreton Island, Scarborough Beach Park is a destination the whole family is sure to love.